Zip line canopy tours are a custom designed series of zip cables and platforms allowing your quests the freedom of traveling through the tree tops at a great speed. 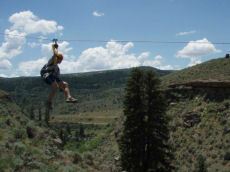 The length of the zip lines may vary from 70′ to 3,500′ or more and may take you high off the ground as you go through the course. Some clients choose to not just have zip lines, and will add a Canopy Walkway or other styles of traversing or ascending and descending components to enhance their tour. 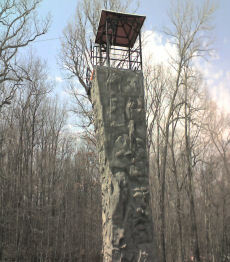 Canopy Consulting, Inc. can design zip lines to be exits or entrances into or on to structures. 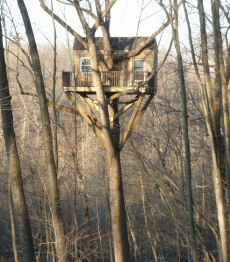 You could zip out of a climbing tower or zip into a custom designed tree house you decide. Our ability to use zip lines as a way to arrive or depart from a structure will allow you more versatility while we design your Canopy Tour. We also build for private individuals stand alone zip lines and custom tree houses just call our design team and we will customize something just for you. 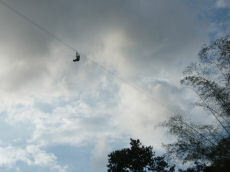 When it comes to Zip Line Tour platforms Canopy Consulting Inc. is the best in the industry. We always over engineer our structures, while never losing our focus on the aesthetics of the design. Zip Line Tour platforms come in all shapes and sizes – some are in the canopy and others might be ground landings and departures. Canopy Consulting Inc. offers several choices in decking materials, and railing systems. We offer industry specific materials based on your climate and usage(example: ski resorts use a non slip lightweight grading to manage snow loads and slipping). All Zip Line platforms are made with custom designed steel powder coated corner and mounting brackets as well as laminate beams. Most of our Zip Line Tour platform designs can be modified to accommodate walls and a roof creating a private oasis in the trees. Our designer will help you make the right choices based on your environment, your budget and your goals.